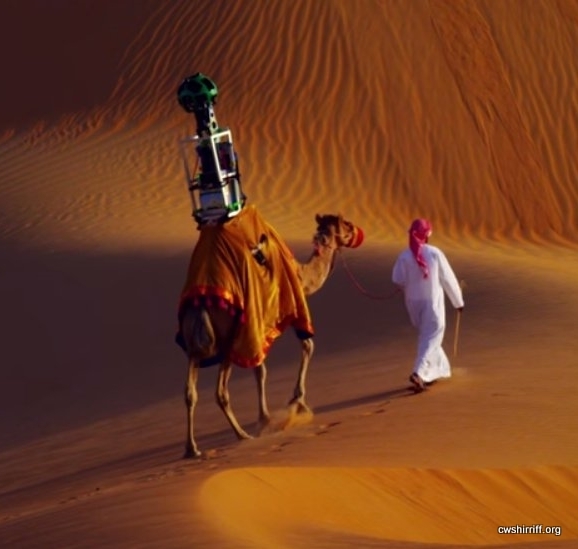 Google has become famous for it's wide range of unusual "Street Views" such as mountains, oceans, and volcanoes. Not to mention the funny scenes accidentally captured. And then there are their amazing "Time Machine views." Somehow, the idea of a camera "viewing" a dessert "street" struck me as funny. Just when I didn't think Google could still surprise me anymore. There was a flurry of nearly 40 potentially fatal overdose incidents last week in Vancouver. Workers at Insite saved these lives by delivering naloxone (an effective and easy to administer antidote for heroin overdose). Without Insite they would have died. Several Canadian cities are looking to expand the use of a medication that has been shown to save lives by countering the effects of a life-threatening prescription drug overdose. The federal Canadian government has made no secret of its dislike of supervised injection facilities. June 5, 2013, the Honourable Leona Aglukkaq, Minister of Health, announced new legislation for supervised consumption sites in a press release. On the same day, the Conservative Party of Canada initiated a “Not In My Backyard” campaign. We thus have a surreal situation in which a government is introducing a bill to seemingly advance an objective that the ruling party is actively resisting. OUR CANADIAN GOVERNMENT IN "ACTION"
1) The Charities Directorate of Revenue Canada has cracked down on a small group of 300 nature watchers as the latest group to worry that its charitable status may be revoked because of "political activity". What had they done? They had written a letter to the government concerning the effects of pesticide chemicals on the bee and bird populations. I don't see how this is "political activity" unless the bees are being encouraged to vote NDP. Or maybe our government is concerned about too much interest in the "the birds and the bees"? In 2012-13 a special squad of 15 auditors started to enforce this tax rule on charities, starting with a number of environment groups. It went on to target some 52 charities like social justice and poverty groups, many of them critical of Conservative government policies which they choose to consider as "political activity". No group has been de-registered (so no money has been saved), but the audits have been expensive and disruptive for many of the groups which operate on a shoestring. The threat of de-registeration is nothing but bullying. 2) This week Canada Post is beginning the closure of delivery to Canadian homes in favor of "Superboxes". There have been concerns about the whole idea, although it is widely used in the USA. So widely used that Canada is purchasing our Superboxes from USA companies without giving any chance for Canadian firms to bid on the rather lucrative contract(s). The following is kind of political but is not meant to be partisan. We are having a Federal Election on October 19, 2015, dictated by LAW (although somehow our last election was held earlier than that). I thought I should make some acknowldgment of the "funny" things around out election. It is held 36 days after it is called, but we are already in FULL ELECTION MODE. 1) In "Party of One" (just published, so I haven't read it yet), investigative journalist Michael Harris closely examines the majority government of a prime minister essentially unchecked by the opposition and empowered by the general election victory of May 2011. Harris looks at Harper’s policies, instincts, and the often breathtaking gap between his stated political principles and his practices. 2) The Government has put out a Trudeau attack ad by email to their faithful. In their email they are urging people to pass it on, so here I am - advertising for the Conservatives. It is called transparency. "As you’ll see, the Prime Minister’s job is a serious one, and only one leader is up to it. This is an ad we want all Canadians to see, and I hope I can count on you to share it with 3 people who haven’t seen it yet." Funny that they only send it out to people they know. If you visit their site to view it they will first ask for your name, email and postal code. They don't seem to care if it is a real name, let alone yours . . . or a valid postal code ... or email address.